Sorry my posts have been sporadic of late, I got a promotion at work and find myself quite busy of late. Anyways, I know it seems like every time you turn around there is another Kickstarter popping up. 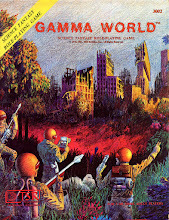 I've kept away from most of them (although I jumped happily on the Starships & Spacmen wagon er uh starship) but being an old school Gamma World fan I would be remiss if I failed to mention and contribute to the Interloper Miniatures Kickstarter! Check it out!! I hope this is very successful and we see more mutant beastie minis developed!! I've been running a Pathfinder game for several sessions now. My players are great and seem to be having a good time. Me behind the screen, not so much. Don't get me wrong, my players are awesome and we have a lot of fun, but the older I get the less and less I like rules heavy systems and for me Pathfinder is a rules heavy game. For me its strengths are also its weaknesses. 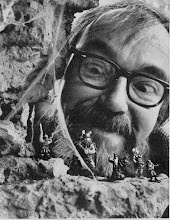 You can really create a unique cool character with all the multitude of options, skills, feats and variables but those same options and variables can be a chore for the DM to manage, at least this DM, especially once the campaign starts reaching some higher levels. This was what eventually caused me to quit playing 3.5. It's kind of a shame from my standpoint. 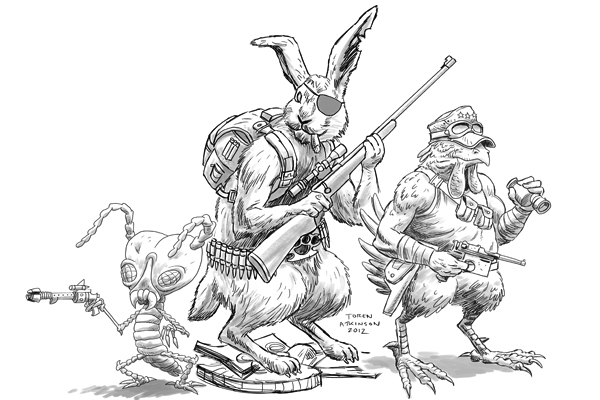 Paizo puts out top notch product, with some really great ideas, adventures etc. and I really would love to go whole hog all out for Pathfinder, but I hate having to refer to a rulebook during a game, for me it takes away from the session and even many sessions in, I still find myself having to look up alot of stuff. Even my players, have to looks up alot of stuff, and it just seems to take away from our time at the table. I don't mean to sound whiney, I know my experiences and opinions aren't shared by everyone, but I saw another blogger (Tenkar's Tavern) post something similar today and thought I'd chime in with my thoughts as well. Anyways just curous what some of my reader's thoughts and feelings were about this. Feel free to comment. I've done enough prep to last me for a few more Pathfinder sessions, so I'm going to try to run it a bit longer, but after that, I will definately be switching to a different system. Spears of the Dawn Kickstarter! A quick post, because I just had to share this! Kevin Crawford, the main man behind the Stars Without Number RPG, that I frequently talk about on this very blog, has just launched a Kickstarter for an African themed Fantasy RPG based off the SWN engine! Come Pay day, I will definately be forking over some $$ to support this awesome project!! Requires 10-11 hours sleep for every 32 hours of activity or will be fatigued. If unarmed he may make 2 dewclaw attacks per round 1d6 damage, he will only do this in a life or death situation of last resort. Heightened Hearing- +1 to any listen based Perception checks. Telescoping Stun Baton- range 1.5m, 1d8 damage (stun only), ** Lion prefers to use his hand sprayer but will use this on particularly tough bounties. Tranq Gas Grenades x 2- 6m radius, anyone is area of gas must make Physical Effect save or fall unconscious, gas will persist for 1d3+6 rds. 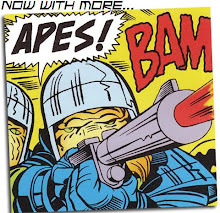 ** For when he has to take on several baddies at once. 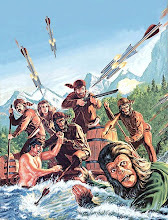 Lion the Bounty Hunter started out as a landless male Aslan running with a pack of rogue young males that quickly landed him into trouble with the law. 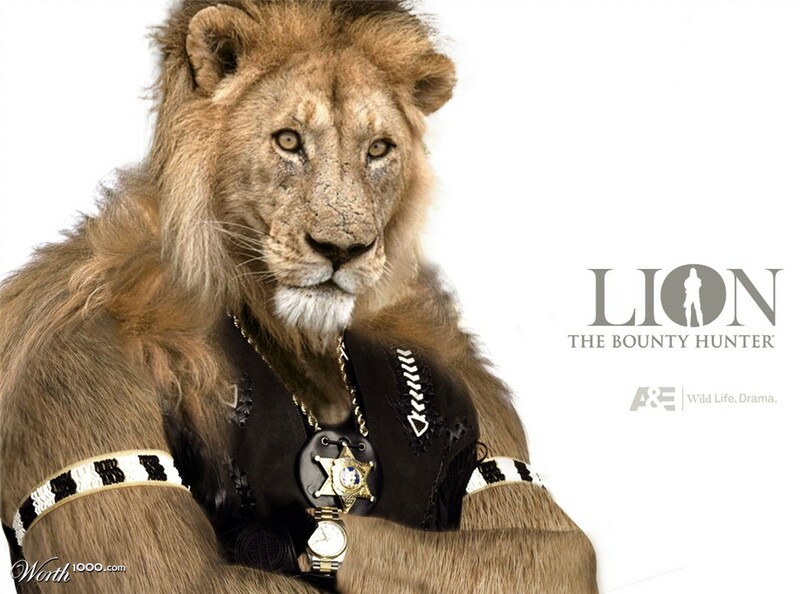 After serving time in prison, he repented of his criminal ways and set out for a life of adventure, leaving his home and kin behind, he eventually found himself living and working among humans and picked up the nick name "Lion", after working as a Bounty Hunter his story was picked up by a Holovid company and overnight he became a star!.. sort of...this was all much to the chagrin of his people, many of whom felt the humans were making fun of him. He ran into several misadventures along the way, most of which made it to the spacewaves. He now resides on a backwater frontier world (Tarlkin's Landing) just trying to make a living still working as a Bounty Hunter and trying to reform as many criminals as he can, only time will tell where he will wind up next. Even though he has lived among humans for many years he still judges the gender of a others based on their profession (warrior types are males, scientist-scholary types are females, just like the rest of his race does, this has gotten him into several interesting situations. One other curious thing about him, even though his profession is potentially a violent one, he refuses to use guns and only resorts to his powerful dewclaws if innocents are in grave danger. **Adapted from the Traveller d20 Traveller's Aide #1, Personal Weapons of Charted Space, produced by Quicklink Interactive. I couldn't resist working this one up when I found the picture over on the Worth 1000 words website. I've liberally borrowed from many other sources to stat him up. I hope others don't mind me referring to their work, and of course a big tip of the hat to Duane Chapman for being inspiration for this NPC. Good Gaming! – B. "At the end of the criminal rainbow- there is no pot of gold." "Start dreaming right now and planning your future." "When you break someone down- make sure you always raise them up higher than they were before." "#1 you never hit a women. #2- you never hit a pregnant woman." "He now knows there's another side of life and he could get there." " A lot of people won't change a plan thats how they end up not winning." "The hunter when he understands his prey- its easier for him to find them." "My grandfather would say they're all helpable if they wake up this side of the dirt." "If you get a goal in your mind- go for it- you're not in hell yet, you can still make collect calls, you can still talk to your old lady, you can still have children and you can still love and be loved." "Some guys you can look at and think - yeah he's a criminal and yet some guys who don't look like one - really are. So you cannot - obviously judge a book by its cover." "You never know what a champion is or to be a winner unless you first learn to lose." 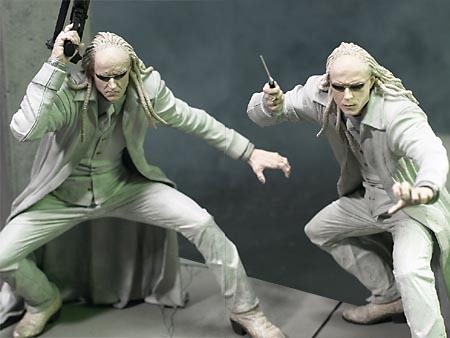 Ghost Twin #2 - Submachine Gun 1d8 (+ Burst Fire) w/ laser dot pointer +2 hit at close range. 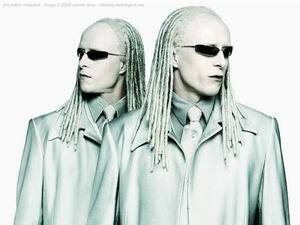 I have to admit not being a big fan of Matrix Reloaded, for reasons that I won't get into here. 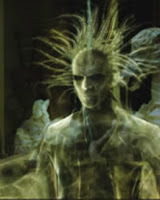 One thing I did like, well two technically, were the Ghost Twins, sadly they weren't used to their full potential IMHO. So for an experiment I thought I'd stat them up for Stars Without Number/Other Dust. I pulled the Mutations from Other Dust and went with Stars Without Number for class and skills. I know in the movie they really didn't seem weakened by sunlight but I thought it fit in with the "Ghost" concept. I can't wait to have these two show up as the BBEG's Elite Assassin/Henchman in my next SWN Campaign. 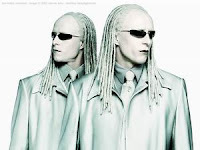 Ghost Twins are from the Movie Matrix Reloaded and are copyrighted by Warner Bros. No copyright infringement is intended.